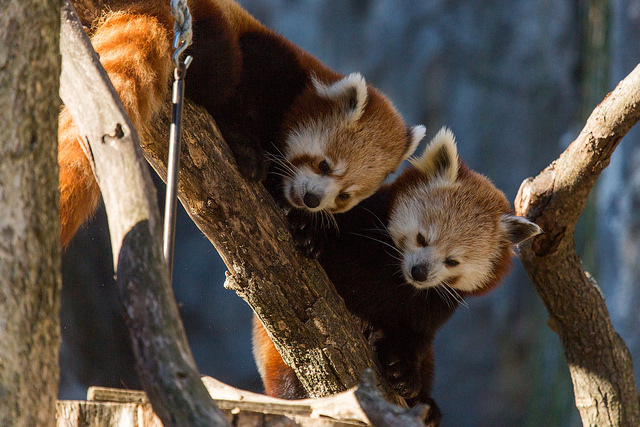 “Just in time for Valentine’s Day, two animals that are red and white and beloved by everyone made their debut on Asia Trail! Meet Nutmeg and her son, Jackie, who came to the Zoo from the Smithsonian Conservation Biology Institute in December. 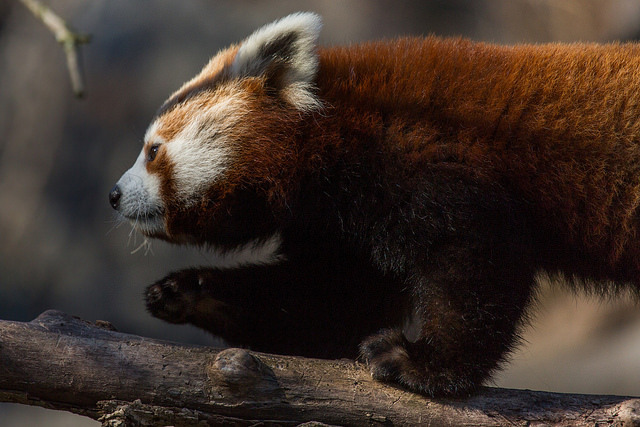 Get the scoop on the Zoo’s new red panda pair from animal keeper Mariel Lally. At 8.5 months old, Jackie is a bit smaller than his 4-year-old mom, Nutmeg. While Nutmeg has a very light face and blonde hips, Jackie’s forehead is red. Beneath his eyes, he has dark red teardrop markings that are very pronounced. Personality-wise, Jackie is playful and inquisitive; he will walk right up to keepers to check out what is going on. Nutmeg, on the other hand, is a bit more subdued and prefers to observe her surroundings from a distance. While she is friendly, all interactions with keepers take place on her terms. Read more about Nutmeg and Jackie here.